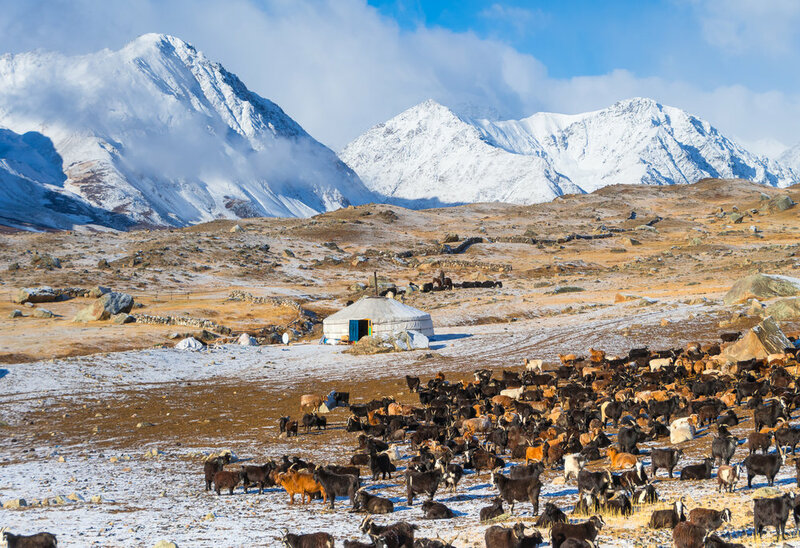 In the remote areas of the Altai Mountains in Western Mongolia lies a culture that was first written about in the 9th century. 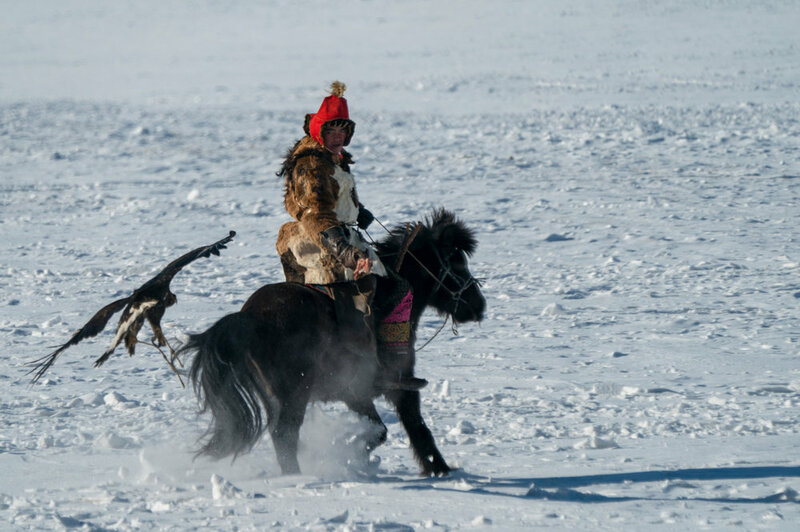 History shows that the Kazakh people here have been carrying on a tradition of hunting with golden eagles. 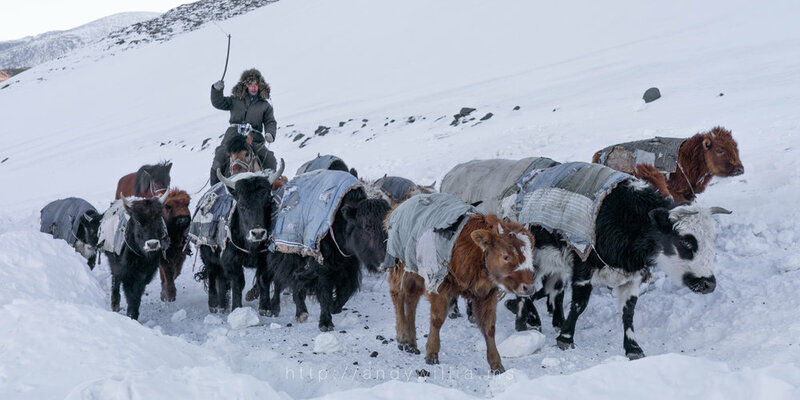 A tradition that was a way of life for the nomadic Khitans from Manchuria in northern China since 940AD. Now you can travel there with Kevin Pepper, an experienced guide and pro photographer who has been visiting this small community of eagle hunters for the past six years. 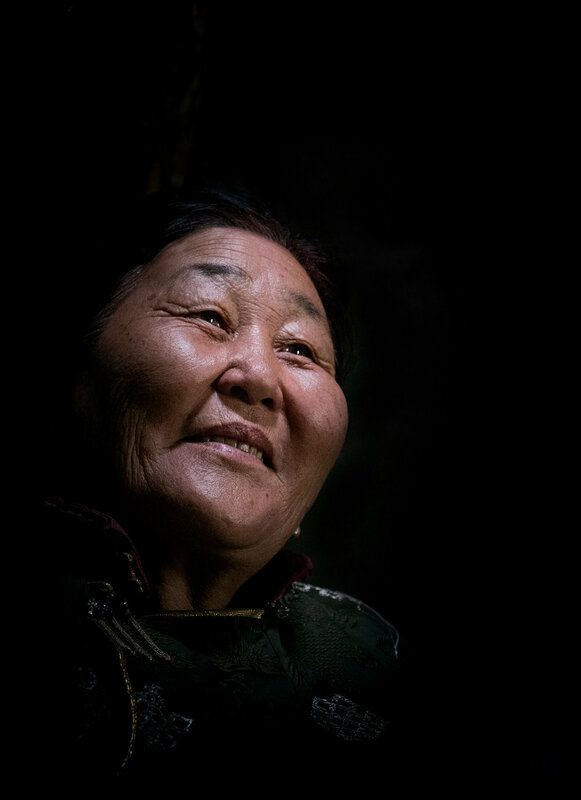 Kevin is the only international pro photographer who has been acknowledged by the Mongolian Government with a citation, which honors his commitment to embracing the different cultures, increasing awareness, and helping to grow tourism in Mongolia through his images and articles on the people, and the culture. 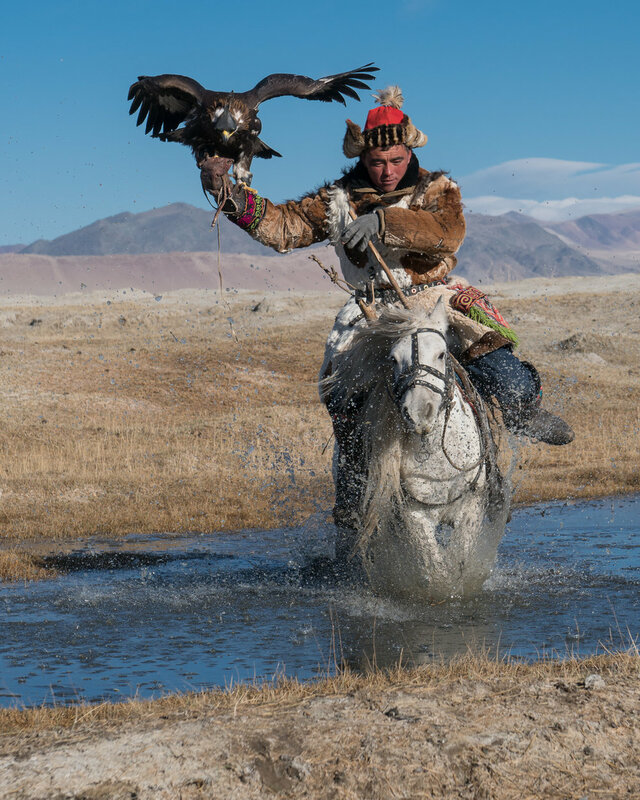 Join Kevin to photograph Mongolia’s vast, breathtaking landscapes, and hear the cry of a soaring golden eagle as you photograph the ancient art of eagle falconry during our private eagle hunter sessions. You will live in ger tents, as the nomads have for thousands of years. 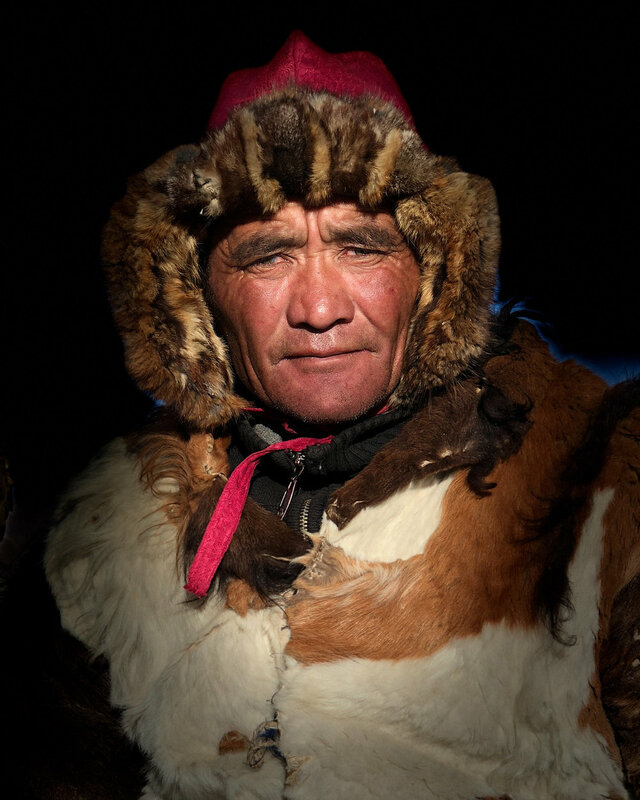 Winter is the height of the hunting season, and is a great time to capture some of the most visually stimulating images you will ever take, get to know some of the most welcoming and honorable people you will ever meet, as you become immersed in an ancient culture. The experience rivals something you would see in documentaries and read about in magazines. We will travel with a nomadic family through tundra-like pans, on or around frozen lakes and rivers, and through mountain passes. We will document the entire migration, the animals, the families, and their interactions. 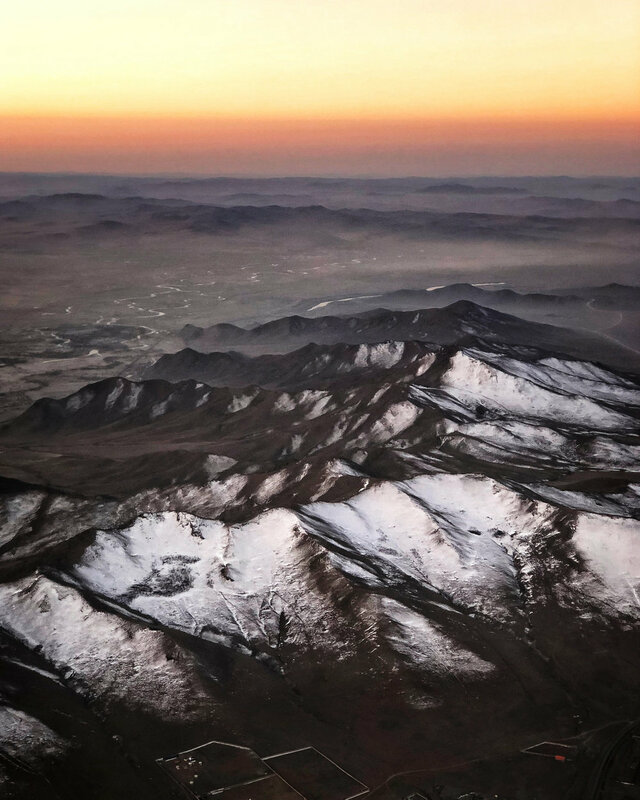 You can expect cold, wintry conditions; temperatures will be in the range of cold to very cold (ranges of -7° to -15°C / -20° to 5°F, with wind chills colder) at 1,500–2,000 meters elevation. Don't worry, after many years and many workshops in Mongolia, we're fully outfitted, “Muench-style” of course! Each day our ground team will drive ahead in special 4x4 vehicles and setup our heated ger tents for sleeping and dining. We will have three land cruisers with us all day every day, so that you can warm up, and take a riding “rest” as needed. While the migration will cover some 30 km each day, we will only walk a portion of that, as we'll be using our vehicles to get us in the best position for amazing photographs. Before and after our migration days, we‘ll have exclusive opportunities for up-close and personal photo shoots with up to five eagle hunters and their families. 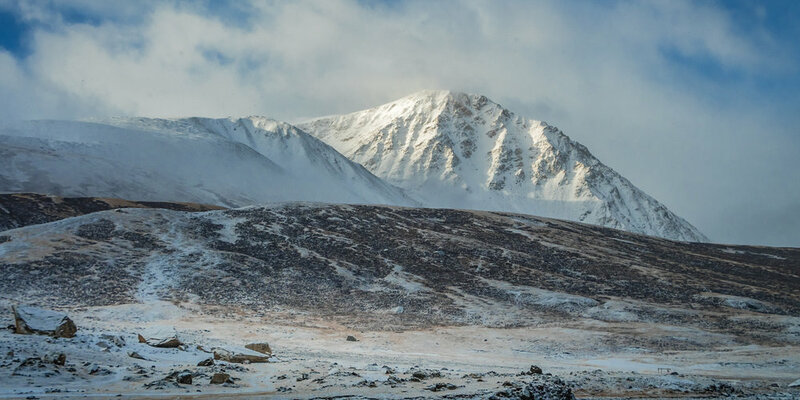 We will cap off our western Mongolia adventure with two full days of landscape photography in one of the most scenic and beautiful areas in the Altai Mountains. Here we‘ll have a lakeside ger camp set up exclusively for us. 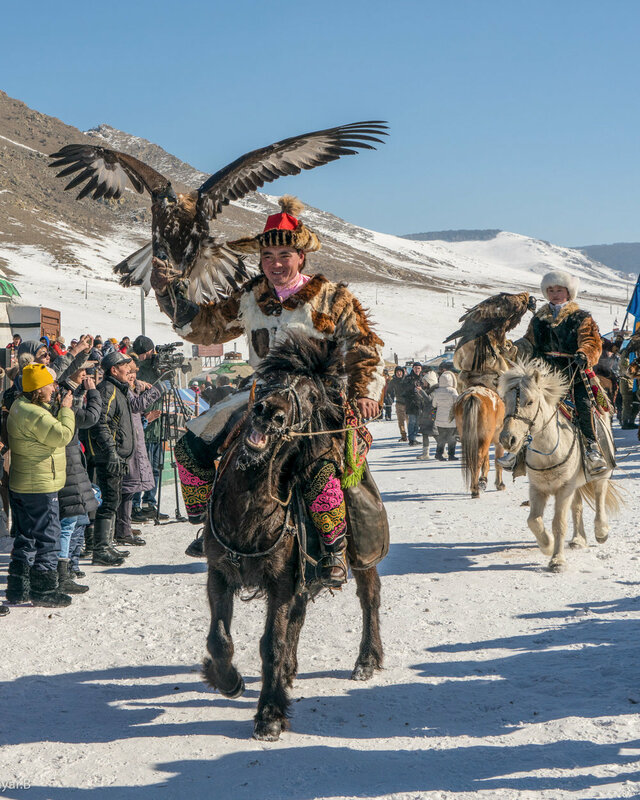 And then on our last day in the west, we’ll have our very own private and exclusive Winter Eagle Festival. 25 eagle hunters and their families will compete in the traditional eagle festival events for the day. We‘ll then fly back to Ulaanbaatar, and on our last full day in Mongolia we‘ll have a private photo shoot with the monks at the Ghandan Monastery. Yes, you need a good level of fitness, but this experience doesn't require you to be a marathoner or weightlifter. It's more about your ability to handle cold weather and sometimes harsh conditions—and of course we'll get you prepared with the right clothing and gear. 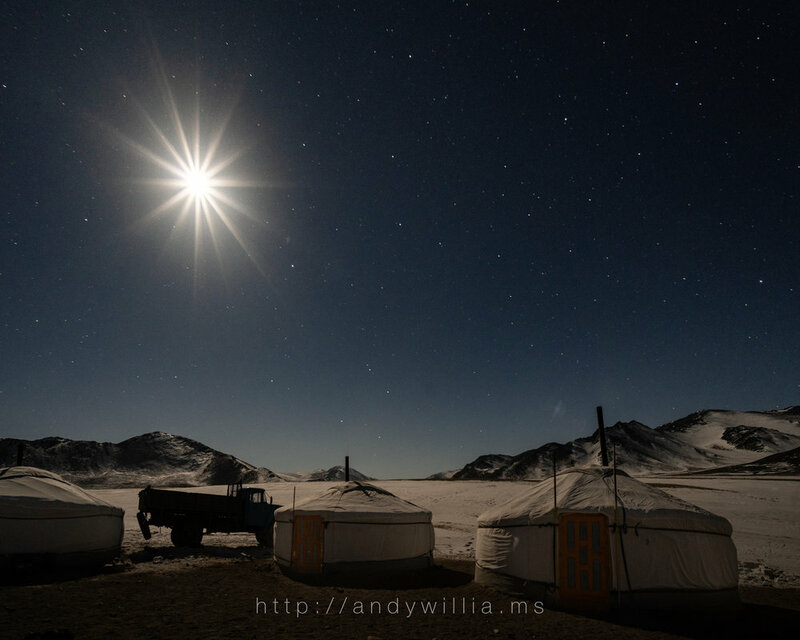 If you are tenacious, able to handle long days, can sleep on a bed in a yurt, use an outside bathroom, have a great mental attitude, and want a unique cultural photography experience, this workshop is for you. You'll be rewarded with photos that very few have in their portfolio, and an experience that even fewer have undertaken. Our group is exclusive and small. Are you ready? Read on! While we don't expect it, we have learned to expect the unexpected! This itinerary is subject to change, but we intend to keep as close to it as possible. Also, not listed in the itinerary are the image reviews, critique, and post-processing sessions that we'll have over the workshop. We schedule them when time and facilities best allow. February 23, 2020: Arrivals in Ulaanbaatar, Mongolia (ULN airport code) anytime this day. We'll pick you up at the airport with a private vehicle and bring you to our hotel in Ulaanbaatar. Tonight weæll have a group welcome dinner and get ready for our adventure ahead. 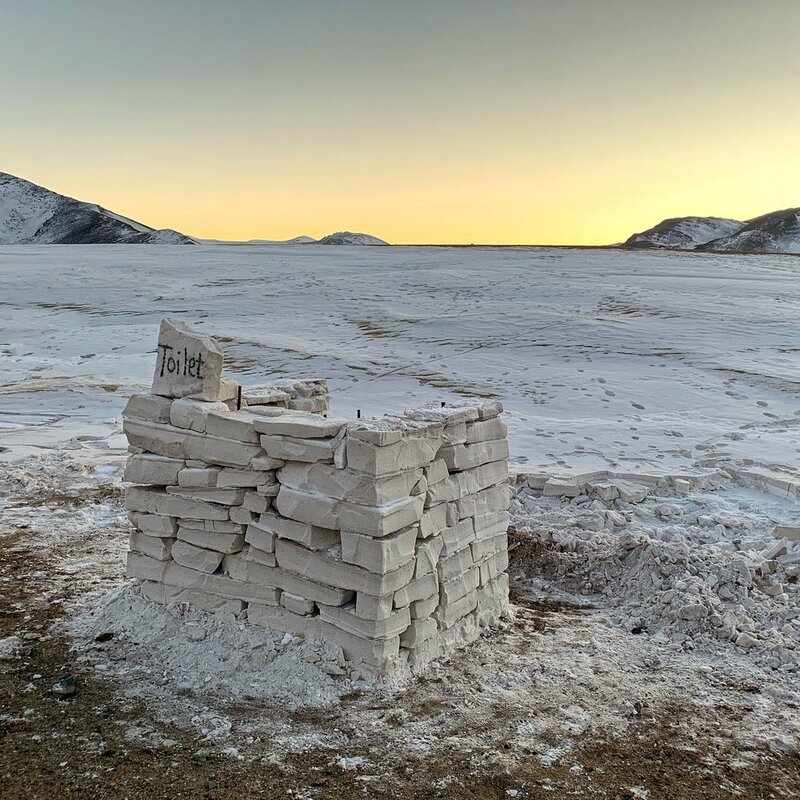 February 24, 2020: We have an early flight from Ulaanbaatar to Ulgii in western Mongolia. 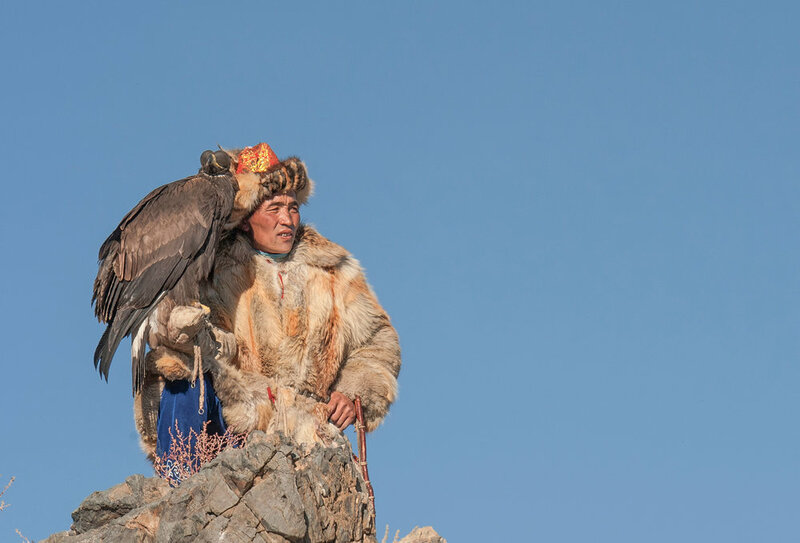 Once in Ulgii, we will have our first portrait session with our three eagle hunters, take some time to get to know them and discuss the photographic opportunities over the next couple days. Overnight at hotel in Olgii. February 25, 2020: Today we will have exclusive access to three of Kevin’s preferred Eagle Hunters that have significant experience working with our groups. They understand the types of photographs we want to take. The benefit to you is less time discussing logistics, more time taking the images we came to take. 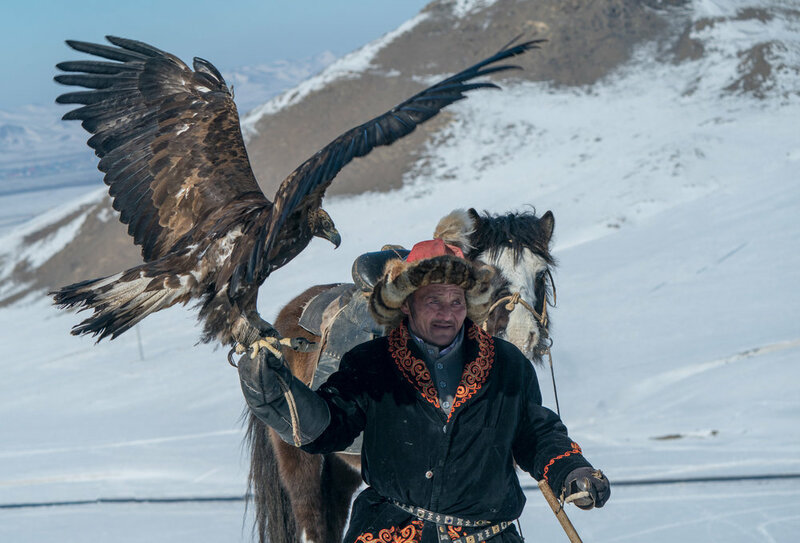 We start with a sunrise photoshoot in the foothills of the Altai Mountains of the eagle hunters, with their Golden Eagles, while on horseback in the Altai Mountains. During the day we take environmental portraits and interior portraits with professional lighting. 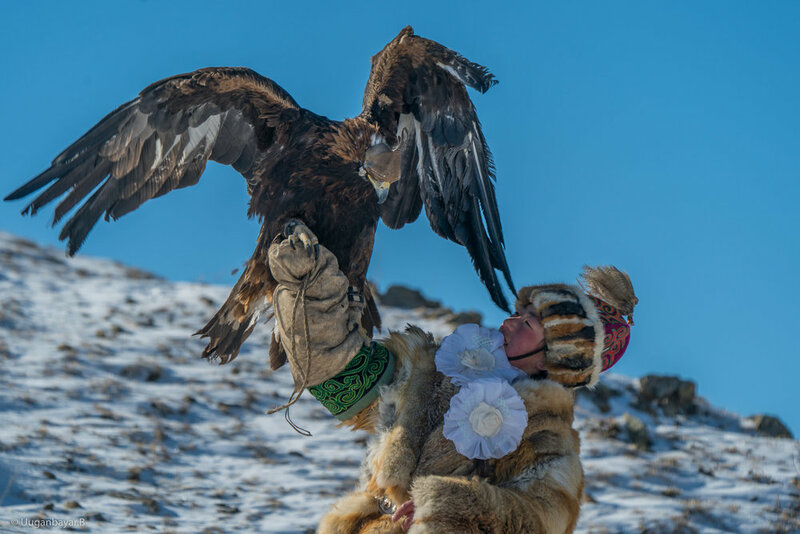 A third photoshoot with the eagle hunters releasing their eagles in the foothills of the snow-covered mountains. Each night we will have an optional photoshoot opportunity of eagle hunters around a camp fire with the possibility of a dark sky with the milky way. February 26, 2020: First thing in the morning, our nomadic family will send their livestock “on the way” and this is a great photo op. Then after breakfast, it’s our private Eagle Festival day! 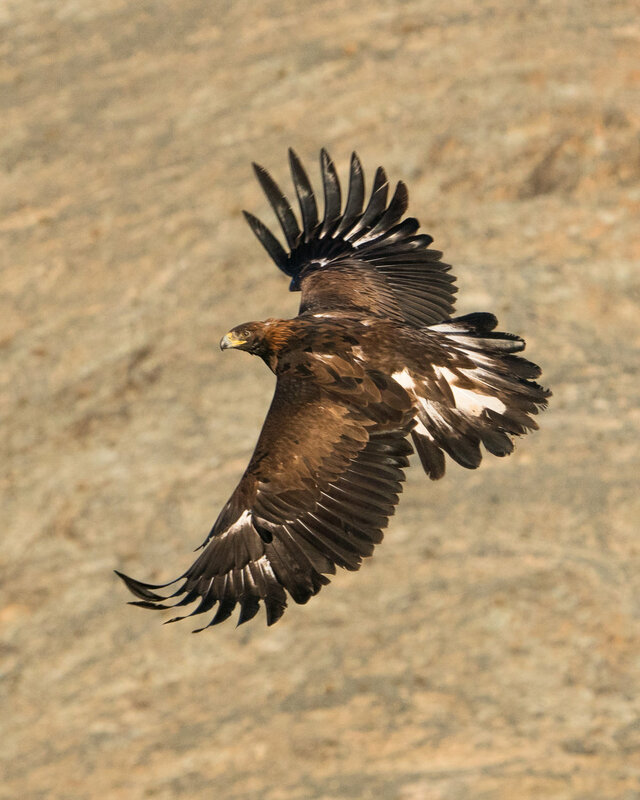 The activities that you will witness and photograph are events where eagle hunter and golden eagle show how they have perfected their eagle hunting skills. You will also see wild horse riding, kockbar, and other local events that show off the prowess of horse rider and horse. At the festival we will also have our own private ger tent, where the eagle hunters can come and relax, giving you the opportunity to photograph some of the 30–40 eagle hunters in an indoor portrait situation. Make no mistake, while this is a private eagle festival, the competition is fierce, real, and intense! February 27, 2020: Today we will again exclusive access to our three Eagle Hunters that have significant experience working with our groups. 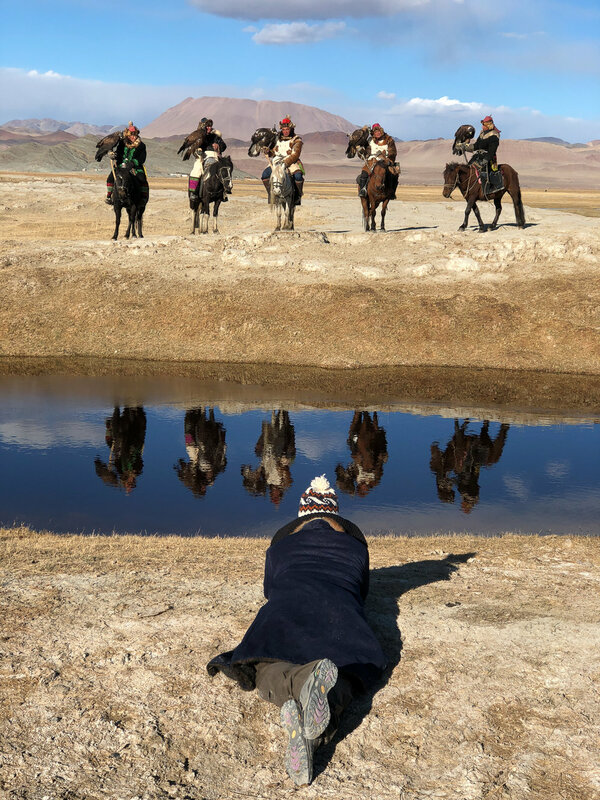 We start again with a sunrise photoshoot in the foothills of the Altai Mountains of the eagle hunters, with their Golden Eagles, while on horseback in the Altai Mountains. After this shoot we will head out and join our nomadic family on the migration. Photography from sunrise to well past sunset each day as we document one of the last great human overland migrations. February 28, 2020: We are on migration with our nomadic family, following the nomadic family as they move to their spring camp. We have our remote ger camps set up for sleeping and dining each night. Photography from sunrise to well past sunset each day as we document one of the last great human overland migrations. February 29, 2020: Our nomadic family will reach their spring home, and the migration will conclude. We will join our family for a mid-day celebration in their home. 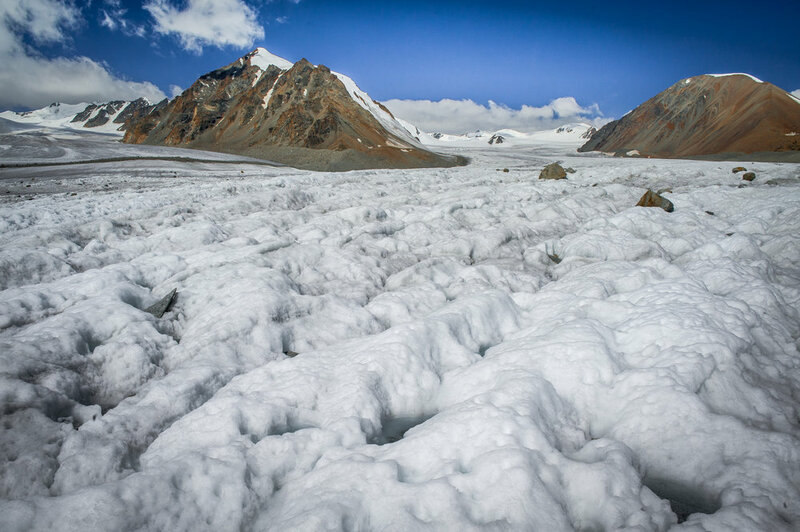 Afterwards, we will return to Ulgii and stay at a local hotel. Tonight we will eat at our favorite Turkish restaurant, dining with the sounds of a local band that we have hired to come and perform while we eat. 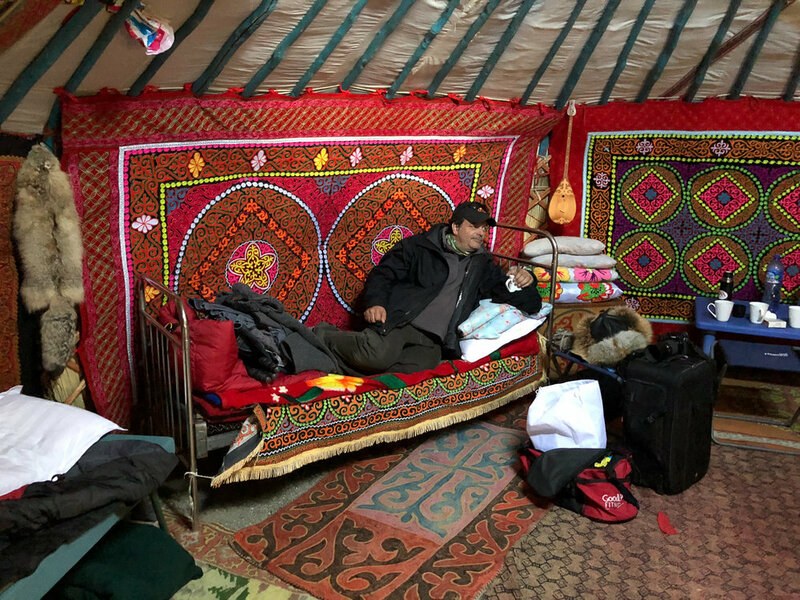 March 1, 2020: After breakfast we transfer to the airport in Ulgii for a flight back to Ulaanbaatar. We‘ll arrive in Ulaanbaatar, get to our hotel, have dinner at a favorite local restaurant, and rest. March 2, 2020: Today we have a fun activity planned. We will travel outside the city for a custom session, photographing Mongolian horses running in the fields covered with snow. Following this, we photograph a group of Mongolian Military that performs mock battles from the Genghis Khan era. 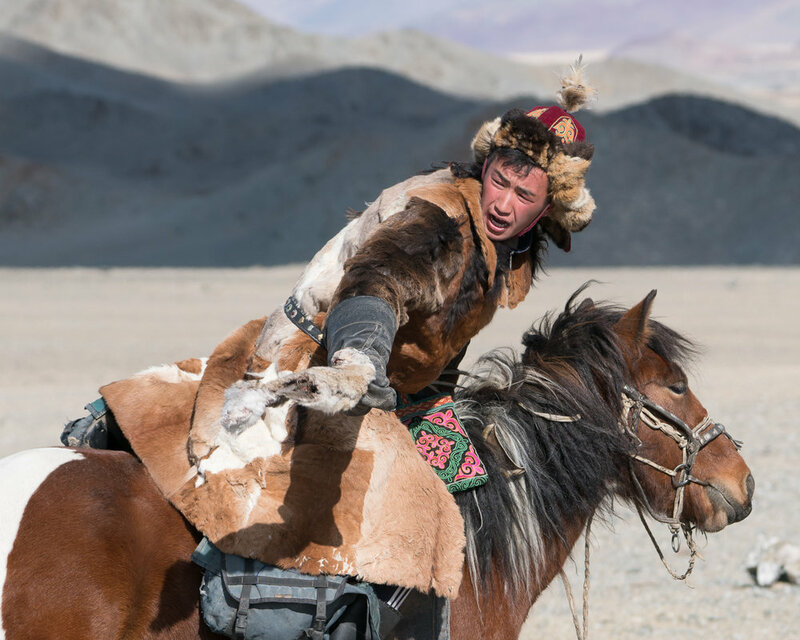 Mongolian Archers, and men on horseback, in full period costumes will conduct an amazing reenactment of a typical battle scene in a field of snow. In the afternoon, we’ll have a critique session in the hotel. March 3, 2020: Today we take the short ride to the Ghandan monastery. 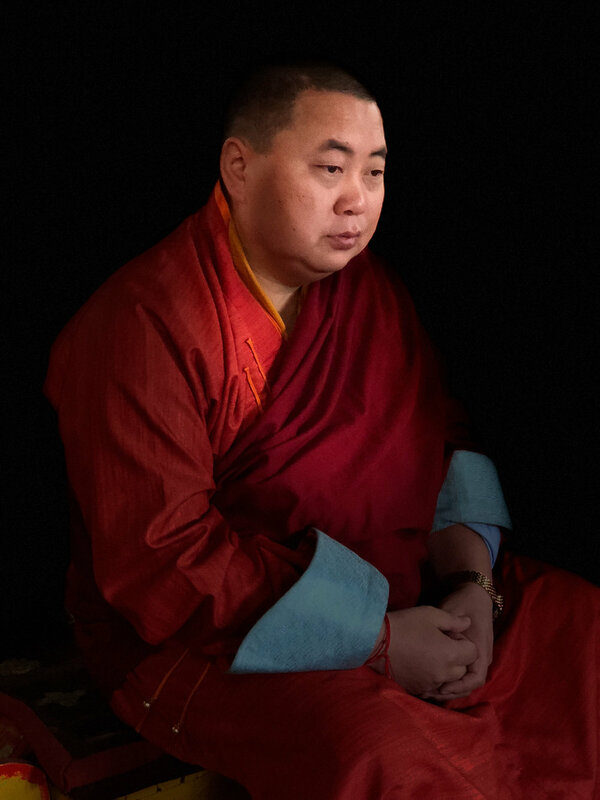 We will have the exclusive opportunity to photograph two monks for one hour in one of the temples at the Ghandan Monastery. We will then have a private tour and discussion on the history of the location of the monastery and religion as it exists in Mongolia. Afterwards we will have lunch and a stop at the best place to buy Mongolian Cashmere goods. Tonight, we have a very special celebration dinner planned—shhh, it’s a surprise! March 4, 2020: Workshop concludes. Flights home anytime this day. Physical: You must be reasonably physically fit, but this experience doesn't require you to be a marathoner or weightlifter. It's more about your ability to handle cold weather and harsh conditions. Most anyone can do the walking for this trip, with the right mindset. We do take lots of breaks. 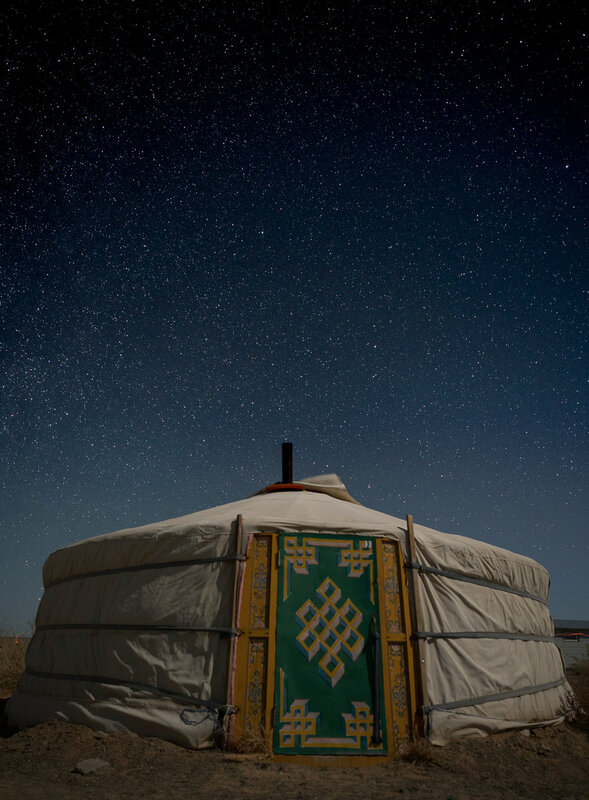 If you are tenacious, able to handle long days, can sleep in a yurt, use an outside bathroom, and have a great mental attitude, this experience is for you. We have our Toyota Land Cruises to drive us along the migration. Weather: It will be cold. Expect temperatures to be below freezing every day. This means, the high temps could be say, 20°F/-7°C and the low temps could be -20°F/-28°C. Prepare for the coldest temps. We set you up with layers (you will get instructions from us) and with the proper clothing, you will be warm. Remember we will be physically active during this workshop. Expect wind, snow, and ice to make the weather feel colder and walking more difficult than you are used to. 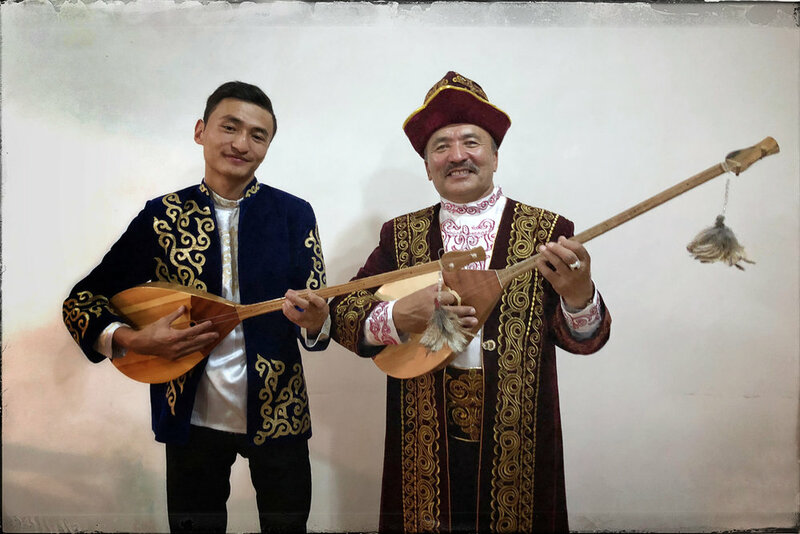 Accommodations: In Ulaanbaatar, we are at a 5-star hotel with all the amenities you would expect: beautiful rooms, en-suite bathrooms, and Wi-Fi. On the migration, and with the eagle hunters, we sleep on beds in heated ger tents (see photos below). One tent for gents, one tent for ladies. You will need a 0°F sleeping bag—bring your own or we can rent one for you. Separate, camp-style outdoor toilet facility in a private, stand-up tent (see photo below). No showers, but you will have the ability to wash and freshen up each day. We‘ll have a generator on hand to charge up our camera batteries and laptops. In Ulgii, we are in a 2-star hotel (it's the only hotel!). The rooms are clean and heated, the beds twin beds. We bring our own chef. There is Wi-Fi, hot showers, and en-suite facilities. Food: 4-star and 5-star restaurants in Ulaanbaatar, with a choice of local and internationally-known foods. 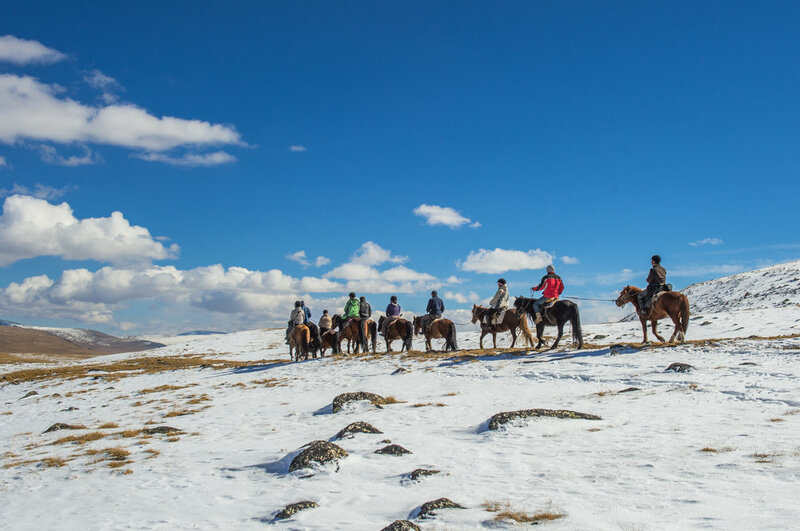 With our eagle hunters and the nomad family, on the migration, and at our hotel in Ulgii, we have our own private chefs along, and they will cook food you know and like in the traditional Mongolian ways. Beef, chicken, lamb, pastas, and vegetables are all featured. We can accommodate food allergies and most any dietary requirements throughout the workshop in all locations, no problem. Transportation: We have two commercial in-country flights aboard Fokker twin-propeller aircraft. Your camera backpack will fit in the overhead bins, but larger roller bags will not fit and must be checked. When off road and when out at the nomad family, we are in Toyota Land Cruisers, again three guests to a vehicle with plenty of room for you and your gear. Studio lighting and reflectors available for participants. Fun, inspiration, amazing images, and a great time! Air travel to/from Ulaanbaatar Mongolia, passport and visa fees (if applicable), items of a personal nature such as laundry, alcoholic beverages. Medical Evacuation Insurance (required). Travel Medical and Trip Cancellation Insurance (optional, but recommended). Anything else specifically not listed as included. Your deposit of $4,000 will hold your place in this workshop. A second payment of $3,500 is due on August 1, 2019. The balance of $3,495 is due not later than November 1, 2019. All of our standard terms and conditions apply. 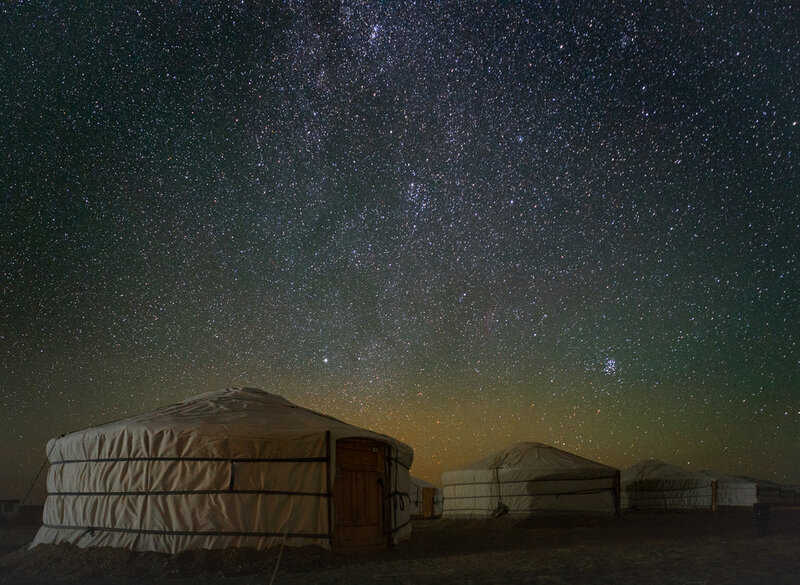 Are you ready to experience ancient cultures in the exotic land of Mongolia? This workshop is limited to a small group so don't delay, click the "Sign Me Up!" button and we'll see you in Mongolia!